The Veritas Infoscale Availability 7.3 for Unix Linux: Administration Training course is designed for the IT professional tasked with installing, configuring, and maintaining Veritas Cluster Server (VCS) clusters. 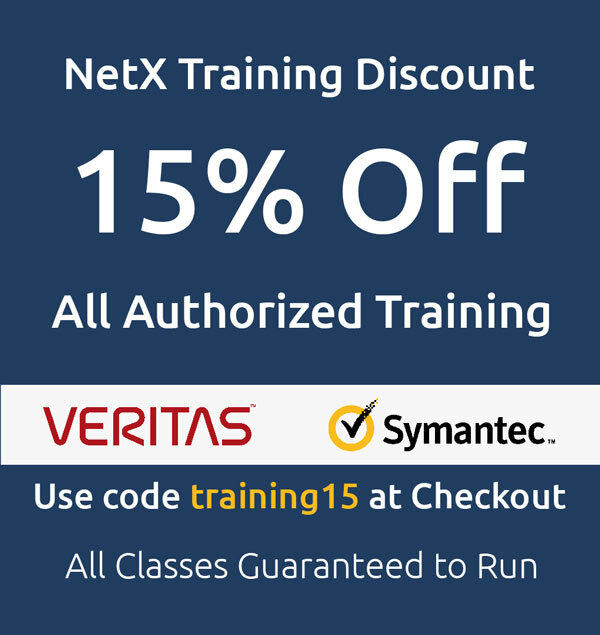 The Veritas InfoScale Fundamentals 7.3 for UNIX Linux: Administration Training course is designed for the IT professional who wants an overview of the Veritas InfoScale Storage and Veritas InfoScale Availability products. The Veritas InfoScale Storage 7.3 for Unix/Linux: Administration course is designed for the IT professional tasked with installing, configuring, and maintaining the Veritas InfoScale Storage environments, including Volume Manager (VxVM), File System (VxFS), and Cluster File System (CFS).